Scorpio. Passionate about movies, music, sports, Disney and my friends who are more like my family. Fiercely loyal and competitive. My thoughts are my own. I finally made my way to the Walt Disney Family Museum located in the Presidio of San Francisco, California. I had been wanting to return to San Francisco since I first visited there in 2009, and the museum was a big part of why. It was not open yet when I went previously, so I thought this was a great cornerstone of a second trip to the City by the Bay. Before I went to the Walt Disney Family Museum, I did very little research in the way of planning my trip. The one thing I did do ahead of time was to order my tickets. This is by no means necessary, but if you are a member of the free Disney Movie Rewards program (where you get points for Disney movie tickets purchased, movies on dvd and blu ray, as well as soundtracks and other cds), they have the tickets for 1,000 for adults, and 800 points for kids. Basically, you are getting your tickets for free if you have enough points, but keep in mind it can take 2 – 4 weeks for them to be delivered by mail. I’d recommend ordering them a couple of months before your trip and then you’ve got plenty of time. Regular ticket prices are currently $25 for adults, $20 for seniors (65+) or students (w/ id), $15 for children (6 – 17), and children ages 5 and under are free with a paying adult. If you don’t have Disney Movie Rewards, there are still other ways to get discounts on your tickets. Gold Members of Disney’s fan club D23 can get $3 off one day admission for up to four guests per member. Tickets are good for any days, so you don’t need to pick a specific date when your purchase tickets to the Walt Disney Family Museum. You can also occasionally find coupons for $3 off on sites like Bay City Guide, or in coupon books around the city of San Francisco. The Museum also offers free admission for active duty and retired military and their spouses and dependents with valid id. Parking at the Walt Disney Family Museum is paid on street, but you can use credit cards or cash. You go to a machine and pay for a certain amount of time, and then it prints a receipt which you put on your windshield to designate you’ve paid for the parking. Museum hours are Wednesday through Monday from 10am – 6pm with closures on New Year’s Day, Thanksgiving, and Christmas Day. Please note that last entry is at 4:45pm, and that some of the special exhibits can close 30 – 60 minutes before the rest of the museum (I found this out the hard way, but it worked out in the end). Pictures are allowed throughout much of the museum (unless otherwise indicated), but this certainly adds to your time if you try to get pictures of everything like I did. Try to get to the Museum as early as you can. Rope drop it if possible. On the two days I went, one in the early afternoon, and the other first thing when they opened at 10, the morning was much quieter. I almost had the Museum to myself for a good hour, which was heavenly. The Walt Disney Family Museum is set up to chronologically follow Walt Disney’s lifespan from 1901 up until even after his death in 1966. Wear comfortable shoes. 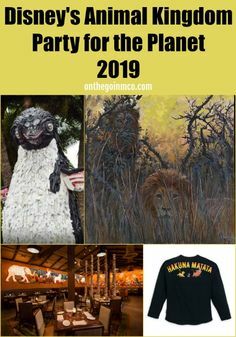 Even though it isn’t a huge museum, it snakes back and forth with over a dozen gallery rooms plus the special exhibits. There are benches and seating along the way, as well as an elevator at the halfway point to return to the lobby for a refreshing break in the cafe if you need it. Give yourself plenty of time. I thought half a day was going to be enough, but ended up returning for another two hours the next day to finish the exhibits I did not get to the day before. The Walt Disney Family Museum is made up of lots of pictures, video clips, and audio clips. Allow yourself to play and explore. If you aren’t particularly interested in Walt’s life as a child, then move on to his adult years. If you love Disneyland, make sure you take your time exploring the huge diorama from all angles and the binder that goes with it. The Walt Disney Family Museum shop has some fantastic books, movies, artwork, and typical gift shop offerings. Don’t forget to factor in shopping time into your schedule and your budget. The Museum Cafe has a variety of sandwiches, soups, salads, baked goods, snacks, and drinks. We took a breather here and were very happy with our snacks and refreshing sodas. Know that this is a bit of a trek from Disneyland and Southern California to get to the Walt Disney Family Museum. Not everyone will be like me and want to drive from San Francisco to Anaheim, so either plan two trips, or maybe look at flying between the two. The drive down the interstate can be done in about 6 hours depending on traffic. We took our time and split up the drive down through Big Sur, stopping in Solvang, visiting Santa Barbara, Ventura, Hollywood, and then on to Disneyland. It was a once in a lifetime amazing ten day trip, but I don’t know that I want to drive it ever again. In the future I’d probably stick to separate trips for San Francisco and Disneyland, however it was awesome to do … once. For any Disney fans, I highly recommend a trip to the Walt Disney Family Museum. It has a ton of great information compiled by Walt’s daughter Diane Disney Miller and her family. It covers Walt’s family life, his various animation studios, tv shows, movies, war time efforts, involvement in the Olympics, Disneyland, and more. I could have spent a week in there easily if I was by myself to experience every video clip, audio clip, and picture. Enjoy it and try to check the calendar ahead of time for any special exhibits or events like movie screenings. Recently I took my first trip to New York City in December. This was a pretty big deal for me since I’d driven by it, flown through it, and even lived upstate for years, and never set foot on the island of Manhattan until a couple months ago. I finally made this trip happen, but wanted to squeeze in some Disney into my vacation to the Big Apple. Although we weren’t catching a Broadway show this trip, everyone knows there have been many hits from Disney in New York City from Beauty and the Beast, to Newsies, Mary Poppins, The Little Mermaid, Aida, The Lion King, and Tarzan. I did get to go by the New Amsterdam Theatre many times since we were staying just a few blocks from Times Square, so of course I had to get my picture in front of the Aladdin posters. Also in Times Square is a large Disney Store with an escalator that is fun to ride if for other reason than to see the beautiful lanterns from Tangled and the decor. Going to the second floor to see more exclusive NYC merchandise is a good reason too. I ended up getting an awesome New York City shirt at the Disney Store. Not a lot of people realize this, but Walt Disney lived in New York City for a period of time. He had a place in Greenwich Village, where Douglas Fairbanks, Jr. had also lived at one point, called Twin Peaks at 102 Bedford St. This is just a couple houses down from where the Friends building exterior shots are. It is a very cool neighborhood where Cary Grant also lived. This was one of my favorite places in the city that seemed a bit more chill, aside from all the tour groups trying to take pictures outside of Monica and Rachel’s apartment. There are also a ton of Disney tv and movie connections to New York City. Every time I’d catch a glimpse of the Chrysler Building, I’d think of the Disney/ABC TV 1999 Adaptation of Annie, which is my favorite version. Of course, the Avengers, and Captain America were on my mind anytime I rode the subway and saw signs for Brooklyn, or when I was near Grand Central Terminal where their final battle is in the first movie. The Empire State Building reminded me of James and the Giant Peach, and I thought of Enchanted when I went by Central Park. When I was in the Village, I had to look for Waverly Place and see if there were any Wizards around, but I didn’t find any (Selena Gomez must have been busy). There are many more set in the city like Oliver and Company, Bolt, The Rescuers have their headquarters under the United Nations, the tv shows Jessie, and Girl Meets World were also set in New York City. Now even with the Disney Cruise Line having a port with departures leaving from New York City, it is even easier to find little bits of Disney magic in the city. There are new Broadway shows in development like Frozen. The ABC Studios at Times Square where Good Morning America broadcasts live during the week often feature actors from Disney, Marvel, Star Wars, and Pixar movies that debut soon. You also have Adventures by Disney with a New York City Itinerary that lets you see Aladdin, attend a taping of GMA, museums, restaurants, free time to explore the city and more! There are a variety of ways to experience Disney in NYC and I’m glad I finally got to see a few of them, but there are so many more. The new Festival of the Arts at Epcot has me clamoring to get back to see a show on Broadway after seeing these fantastic performances. PizzeRizzo at Disney’s Hollywood Studios is the fun new Muppets themed quick service restaurant located in the building Pizza Planet previously occupied. While I haven’t yet had the chance to eat at PizzeRizzo, I did get the opportunity the other day to explore some of the awesome Muppets details throughout the restaurant. I ducked in to avoid the rain while waiting between fast passes and this may be my new favorite quick service restaurant in Hollywood Studios even without eating there! Check out some of these great Muppets throwbacks, plus some other things you may just notice from other areas of the park. Like many establishments, PizzeRizzo attempted to frame their first dollar, but Pepe left an I.O.U. for Rizzo apparently needing some cash. The ordering area and seating areas both upstairs and down are now huge. I kind of forgot to get a picture since we were trying to escape before the downpour started, but it is gigantic improvement over what it was when it was Pizza Planet with the switchbacks in the ordering area and with the games taking up a big part of the restaurant. Here’s a picture that just shows a portion of the lobby where you order to give you an idea of the size. Much of the time I spent exploring was in the upstairs, which can be reached by really cool backlit stairs in the center of the dining room or by an elevator just to the side. Upstairs is also where the banquet room is located, where they were playing YMCA when we were there. The outdoor seating area is also amazing. It looks down over the Muppets Courtyard and what remains of New York Street and the construction of what will be Star Wars and Toy Story Lands. For Disney fans, and those who miss the Streets of America, a piece of it survived and hangs proudly on the wall in PizzeRizzo. Another fun nod to Disney history, and tying in to the New York theme of the L.A. based pizza restaurant, is a picture of the Unisphere from where the 1964 World’s Fair was held. Rizzo even likes to have fun with his trash cans and recycling bins in his restaurant. These fun sayings are found, some repeated, throughout PizzeRizzo, making taking your trash out more fun. Recycling is a gouda for the Earth! I’m trying to run a business here! Pick up after yourself! Clean it up! Your ma don’t work here. Don’t fuggedaboutit toss your trash! My favorite details though come from the bulletin board beside the banquet room. Many of the Muppets are advertising their services with fliers and business cards and they are priceless. I have two shots of the entire boards that I suggest you zoom in on and peruse, but I’ve also included a few of my choice faves to share. I’ll let you explore some of the others to discover on your own so as not to take away all the fun of finding all of them. There are so many other great puns and nods to New York and the Muppets and just pop culture throughout PizzeRizzo. 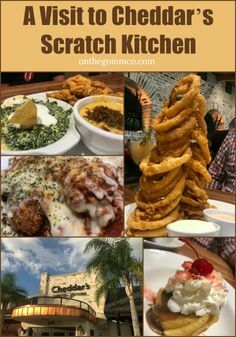 I highly recommend that you check out this fantastic remodel and I hope that I get to eat there soon as I’ve heard good things about the antipasto salad. The space is great with tons of seating inside and out, and on both floors with accessibility. This may be my new place to hideout and spend time in between fast passes because they play great music too (think Rat Pack, Rosemary Clooney, Perry Como, etc.). Although I would also kind of love to hear the Mice Girls sing some of these hits from this record. Sometimes you just want a quiet day in the park. Other times you’re with a theme park newbie or someone who isn’t a fan of rides. For whatever reason, there are times that you find yourself not riding rides, and that’s okay. Some of my favorite attractions past and present are not rides. 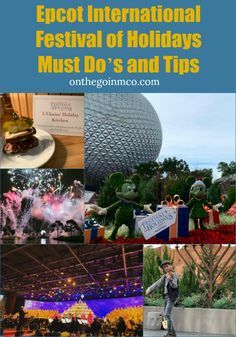 I thought I’d share a few so if you are touring a theme park with someone who is unable or unwilling to ride, or you just want to experience a park in a different way, here are some of my go to attractions. I’m starting this series with the Magic Kingdom, so enjoy! Fantasyland holds one of my favorite things of all, an attraction that typically has a very short wait time, is sitting down, and in air conditioning. This magical show is called Mickey’s PhilharMagic and is a fun 3D film featuring some great songs from Disney movies and that rascal Donald Duck. A classic in Adventureland that has thankfully been restored to its previous incarnation, is the wonderful Walt Disney’s Enchanted Tiki Room. This great show exhibits the audio animatronic birds who sing words, and flowers who croon in the tiki tiki tiki tiki tiki room. Again, this is sitting down, and in air conditioning. Are you following a theme here folks? Now Frontierland holds another classic that was a favorite, then we had a parting of ways, but have since reconciled. The Country Bear Jamboree still has some of the great bear band rhythm, but not as much as it had before, and it made me sad/mad for awhile when the cuts were made, so I may have stayed away for a bit. Time has passed now, and I’ve missed those bears dearly, so again, sitting down, air conditioning, clapping, singing, and Max, Buff, and Melvin. On Main Street USA it is truly a must to catch the Dapper Dans and listen to a set or two of their a capella harmonies. Often they will even take requests and can be found around the Harmony Barber Shop, which makes sense as they are a barbershop quarter. The Mayor is often hanging around, and if you’re lucky, you may even get one of his super rare business cards. Also on Main Street if you are around for it, you should try to see the Flag Retreat ceremony, but be warned, you will probably need a tissue as they typically honor a veteran guest each day in the Magic Kingdom. Parades are great ways to enjoy days without rides and see lots of characters without standing in line to see them. You can often find a spot to sit and grab a snack and rest before the parade. While you are waiting for the parade to start, you can people watch, which is another one of my favorite park activities in the Magic Kingdom. You will see people from all over the world, but you may even see someone you know from home. It is funny what a small world it is! Dining with a food allergy can be very tricky and a source of stress when you are traveling. 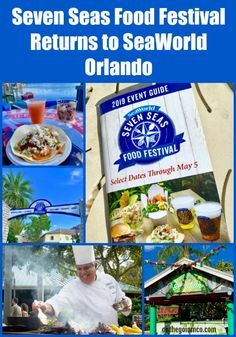 However Walt Disney World has quite a number of options available to those with a food allergy, dietary restriction, or lifestyle choice for their diet. I wanted to share a few of the things that you can do ahead of time to help you in your planning if you do have a food allergy or sensitivity to make your dining plans easier (and safer). With Walt Disney World being one of the most visited destinations in the world, they see millions of guests annually. Accordingly, they have started to recognize that many of us have food allergies and/or dietary sensitivities and restrictions. The process starts when you are making reservations or going to a dining location, because you will always want to make the cast members aware of your allergies or dietary restrictions so they can accommodate your needs in the best way possible. If you are calling Disney Dining to make a reservation, let them know you have an allergy so that when you check-in the host or hostess can easily mark your table as having a special dining request. Or if you book a dining reservation online, simply check that boxes that best fit your dietary needs. But don’t worry if you forget to do either of those, because you can always let them know when you arrive at the restaurant. You can also contact the Special Dietary Requests Line for further assistance at 407-824-5967. If your allergy isn’t listed in the most common ones online or on the My Disney Experience app, there is an “other” box that can be selected and you can explain the specifics to the server when you arrive. In the last few years Walt Disney World’s restaurants, both table service and counter service locations, have started to provide guests with what they call Allergy Menus. These menus address the most common food allergies, which include: milk (dairy), corn, egg, wheat (gluten), peanut, soy, shellfish, fish, and tree nuts. Here is an example of the allergy menu I received on our last visit to Narcoosee’s. Another option at the restaurants of Walt Disney World is to speak with a chef if you don’t see any choices that meet your needs on the Allergy Menu. When the chef comes to your table, they will ask you more about your food allergies or sensitivities to better discuss all the options you have at their dining location. If you are dining at a buffet, the chef can walk you through the line and tell you exactly what you can and can’t have. At a table service restaurant if you see something on the regular menu that you’d like, but has something you can’t have in it you can ask your chef, and more often than not, they can tweak it for you. The chefs are great and like to be creative and will even sometimes make completely off the menu custom dishes if you don’t see something to your liking on the Allergy Menu. It never hurts to ask! Always make sure you let them know what you like, too. My friends and I have been amazed with some of the dishes the chefs have come up with when we let them run wild with a little freedom. I recommend looking at menus online before you make your reservations to get an idea of what the restaurant offers to make sure they have something you may be able to eat, keeping in mind that items are subject to change. Some of Allergy Menus will be more extensive depending on the restaurant. When you are On the Go, there are tons of great snacks being added to the parks and resorts for guests with allergies all the time. Throughout the resort you will find snacks ranging from fresh fruit to other vegan and gluten free items readily available in the Snacks with Character line that was recently introduced. If you have a sweet tooth AND food allergies or dietary restrictions, a visit to Erin McKenna’s Bakery NYC at Disney Springs should be in your plans. All of the treats in this special bakery are nut free, vegan, Kosher, and gluten free. I’m allergic to pistachios and am gluten free, and I am usually restricted in what I can have…but not here. It is amazing! The bottom line is don’t be afraid to eat at Disney restaurant because of a food allergy or if you’re vegan or have a food sensitivity. I promise that whatever dietary sensitivity you may have, in the 45 plus years Walt Disney World has been operating there’s a 99.99% chance that they’ve handled it successfully multiple times over. Doing a little homework before you arrive never hurts, but Walt Disney World will always do their best since your safety is their number one priority during your visit. We are quickly creeping into fall with school having started, Halloween parties underway, and football season here. This means it is time to revisit one of my all time favorite movies that is perfect for this time of year, Clue the Movie. The1985 comedy film is set in 1954 New England and definitely feels like it is set in the fall. If you haven’t yet seen Clue, which is based on the classic board game from Parker Brothers, now owned by Hasbro, you need to get on it! Clue is a mystery wrapped in comedy and stars some great comedic actors like Madeline Kahn, Christopher Lloyd, Tim Curry, Martin Mull, Michael McKean, Eileen Brennan, and Lesley Ann Warren. Like the game, you have the color themed names for characters including Mrs. White, Professor Plum, Colonel Mustard, Mr. Green, Mrs. Peacock, and Miss Scarlet. You also have Tim Curry as the seventh lead, Wadsworth, along with a supporting cast of characters and household staff: Mrs. Ho the cook, Yvette the maid, Mr. Boddy, the cop, the motorist, the singing telegram girl, and a few others which I won’t revel for fear of spoiling the plot of a 30+ year old movie. While set in a somewhat creepy mansion on of course a dark and stormy night, the movie is definitely more comedy than scary. There are the rooms featured in the game, like the conservatory and such, but with others not mentioned in the game to flesh out the setting since 99% of the movie takes place entirely inside the mansion, Hill House. Rated PG for some very mild violence, a little bit of language, and some sexual innuendos. 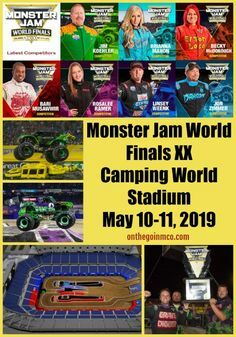 I would say ages 10 and up should be fine for this, but definitely use your own discretion and do some homework before you let your kids watch. There are a ton of memorable lines, which make Clue great. The smart script will have most laughing throughout much of the film despite the somewhat dark subject of multiple murders. The soundtrack is fantastic, if you can track it down. I quote this movie probably more often than most due to the dozens of times I’ve watched it since I was introduced to it at my friend Rachel’s birthday party in sixth grade. Miss Scarlet is my favorite character, played by Lesley Ann Warren, and is the most sarcastic and quippy of the bunch, in my opinion. I had the pleasure of meeting the fabulous Ms. Warren at Disney’s D23 Expo last summer in Anaheim. She was so gracious in taking several minutes speaking with me about the film and said it was as much fun to make as it looks like it would be. Clue the movie is one of those movies that I will watch any time it is on tv. I have the dvd and soundtrack, and plan on upgrading to the blu ray soon. It is a fun romp with scary dobermans, rainy and windy weather with appropriate splashes of thunder and lightning for accents, murder (what do you mean, murder? ), and screams. If you’re looking for something to set the fall mood as we get closer to Halloween, I cannot recommend Clue enough. And remember, 1+1+2+1 does not equal 1+2+2+1. Flames, on the side of my face. Okay, I’ll stop now. A while back I did a post about Disney Movie Bunnies and Rabbits, and today I’d like to look at Disney cats and kittens of all shapes and sizes. For this look at the felines on film, I’m going to focus on compiling a list of the cats from Disney animated movies since there are so many in this category alone. From the most recent Zootopia from earlier this year, back to 1940’s Pinocchio, check out these cool cats of cinema. Numerous background chracters or unnamed lions, tigers, and cheetahs oh my from Zootopia are cats. There are dozens if not more cats of all sizes as would be expected in an animal centric world themed movie. I’ll list as many named characters as I can, but will also include some minor ones too. Recently Disney released a new official playlist on Spotify for the Disney Cruise Line. This is just the latest in their fantastic group of playlists created with Disney movies, parks music, Star Wars, and music inspired by characters from their movies. For those who aren’t aware, Spotify is a free streaming music service (with an option for paid premium service) available on their website as well as on apps for smart devices and computers. Spotify allows users to create playlists (public or private) for artists, albums, moods, genres, almost anything. For instance, my good friend Sally Kilpatrick made a playlist for her great debut novel The Happy Hour Choir which features a lot of music as the title may suggest. It is an awesome thing that is the equivalent of making your own mixtapes to share with the world. Disney has taken their music and designed playlists like the new Cruise Line one to help share their music around a specific theme or idea. The Disney Cruise Line Spotify playlist spotlights fun nautical themed songs like Under the Sea and Fathoms Below from the soundtrack to The Little Mermaid. 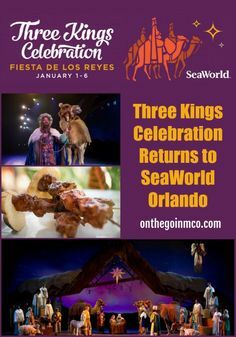 It also incorporates music from the parks including In the Big Blue World from Disney’s Animal Kingdom’s stage production of Finding Nemo the Musical. Even older classics makes it on the list in the way of A Whale of a Tale, sung by Kirk Douglas, from the 1954 live action film 20,000 Leagues Under the Sea. Other playlists in the official Disney Spotify world include those created specifically inspired by character profiles from the Star Wars universe, and more recently, Zootopia. From Star Wars official Spotify account you can find awesome things like the Complete Star Wars Soundtracks playlist with, you guessed it, the complete soundtracks to all seven Star Wars films. I think my favorite thing I discovered though may be the character inspired profiles featuring music the film characters would listen to on Spotify. The list of Star Wars characters is pretty extensive featuring Mace Windu, Darth Maul, Emperor Palpatine, Lando Calrissian, Obi-Wan Kenobi, Qui-Gon Jinn, Chewbacca, C-3PO, R2-D2, Padme Amidala, Boba Fett, Yoda, Princess Leia, First Order Stormtrooper, BB-8, Han Solo, Luke Skywalker, Darth Vader, Anakin Skywalker, Rey, Kylo Ren, Finn, and the Dark Side. Some of my favorites include Kelly Clarkson’s Miss Independent for Rey, a very classic rock and oldies laden playlist for Han, Ridin’ Dirty by Chamillionaire (whatever did happen to him?) for BB-8, and a punk/alternative rock playlist for baddie Boba Fett. I highly recommend you check these all out when you get a chance. Similar to the Star Wars character profiles, Zootopia has some of their own, and they are pretty spot on. As you’d imagine, Gazelle’s playlist is very Shakira-centric. The playlist for Judy Hopps is filled with girl power and inspirational songs like Rachel Platten’s Fight Song, Unwritten by Natsha Bedingfield, Survivor’s Eye of the Tiger, Don’t Stop Belivin’ by Journey, and of course Try Everything by Shakira aka Gazelle. Clawhauser’s list is very poppy with lots of boy band and tween type music. Finnick’s Spotify playlist may be one of the best all around with lots of great late 80s and early 90s rap and R&B. Yax is totally fitting for him with loads of music from the 1960s hippie vibe he has. Mr. Big, as I hoped, has a playlist which is exactly what you’d expect for the mafioso he is, including the theme from the Godfather, Papa Loves Mambo, Mambo Italiano, and That’s Amore. Along with the great movie playlists and character profiles, Disney has other somewhat randomly themed lists, along with several complete albums. Some of these include great runDisney training playlists to help you on your training runs and during your races. You can also find things from the Disney tv channels like Disney Junior, Disney Channel 100 DCOMs, and even Dancing With The Stars Disney Night playlist. I love that you can listen to the entire Legacy Collection on Spotify. I absolutely love the variety of playlists like Disney Hawaiian Sounds, Disney Meets EDM, and this time of year especially the Disney Halloween Songs, and Disney Halloween Sound Effects Playlist. Spotify is a fantastic way to enjoy some of your favorite music or to discover great new sounds. Disney has created some amazing playlists that reflect their parks, resorts, tv shows, movies, and more. I think it is incredible how much music is available to us and in such creative lists. I hope you check out some of these playlists and maybe you’ll even be inspired to make some of your own. In honor of the new live action Jungle Book movie coming out next week, I thought I’d take a look back at the 1967 classic animated feature film and its music. This movie holds a place near and dear to many Disney fans’ hearts as one of the last films ever that Walt Disney personally had a hand in directly influencing it. The music from the Jungle Book stands out as some of the best from the Disney movies of the 1960s. The soundtrack was nominated for both an Oscar for Best Original Song for “The Bare Necessities,” and for a Grammy Award for Best Recording for Children. The Mellomen, who Disney fans may know as the voices of the singing busts in the Haunted Mansion among other things, including Thurl Ravenscroft and Bill Lee, helped provide the singing voices of the Dawn Patrol elephants in “Colonel Hathi’s March” and its reprise in the Jungle Book. The Bare Necessities was written by Terry Gilkyson, but was deemed a bit too dark in its original incarnation. Van Dyke Parks, who is a famous arranger, composer and songwriter known for working with the Beach Boys, did a new and more upbeat arrangement for the song performed by Phil Harris as Baloo and Bruce Reitherman, who was the voice of Mowgli and the son of director Wolfgang Reitherman. Phil Harris and Louis Prima who voiced Baloo and King Louie respectively. The men improvised all the scatting that they did in the Jungle Book during their song “I Wanna Be Like You.” Both were popular jazz singers and musicians in their day. Richard and Robert Sherman were brought in to take over as songwriters and composers after Walt Disney found the original songs from Terry Gilkyson to be too dark, although more true to the tone of the Kipling version of the Jungle Book. The Sherman Brothers repurposed a song called “Land of Sand” they had written for Mary Poppins which was not used, and turned it into “Trust In Me.” Kaa was voiced by longtime Disney veteran Sterling Holloway. Did you know that the singing Vultures in the Jungle Book were originally intended to be voiced by the Beatles? Supposedly John Lennon nixed the idea or there was a scheduling conflict, but the appearance and voices of the vultures still are clearly inspired by the Beatles. To make the vultures have a more timeless sound, the music was changed to a barbershop quartet to sing the song “That’s What Friends Are For.” One of the Mellomen, Bill Lee, provided the singing voice of Shere Khan for the song. The instrumental version of the song “My Own Home” is woven throughout the score of the Jungle Book. 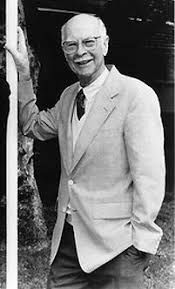 Famous Disney composer George Bruns wrote the score, while the Sherman Brothers wrote all the songs with the exception of “The Bare Necessities,” which was the only surviving song from Terry Gilkyson. As I am gearing up for my next Disneyland trip that will be in a couple months, I am looking forward to visiting and going on my favorite ride multiple times: Alice in Wonderland. While this ride is my favorite of all the Alice in Wonderland themed rides and attractions, it is by no means the only thing themed after the 1951 animated classic. The movie, based on the Lewis Carroll story, spawned several rides in Disney Parks and resorts around the world that I’d like to highlight today. Each Disney property around the world has at least some representation of Alice in Wonderland in their parks. Alice in Wonderland is the classic dark ride which opened June 14, 1958, is found exclusively at Disneyland, and has been a favorite of mine since my first trip five years ago. While it isn’t the first Alice attraction in Disneyland, it is my favorite. I love the new graphics from the latest refurbishment. Going inside and out and on the second level to go over the Mr. Toad’s Wild Ride Attraction is a fantastic use of space in Fantasyland. Three original opening day attractions are based on or feature Alice in Wonderland. The Mad Tea Party (tea cups) are a favorite of many to this day. I especially love this ride at night lit up with the colorful lanterns. Also connected to Alice are both the Casey Jr. Circus Train and Storybook Land Canal Boats, from which you can see the English Village from Alice in Wonderland. As of 2008, the characters of Alice and the White Rabbit were added to it’s a small world. Aside from rides, the influence of Alice appears in two shops in Disneyland, both called The Mad Hatter, one in Fantasyland and one on Main Street USA. Just around the corner from the Alice in Wonderland ride, you can find my favorite bathrooms in any park, which are themed around the cards who serve the Queen of Hearts. There’s also a very cute White Rabbit statue here. In Downtown Disney, an art gallery called WonderGround Gallery takes its name and inspiration from the Alice stories. For the next few weeks one can also experience some Alice themed rock in the Diamond Mad T Party in California Adventure. The Mad T Party was just announced to be closing on March 30th, 2016. This dance party and area of Hollywood Land hosted concerts with musicians dressed up like Alice, The Mad Hatter, Cheshire Cat, Caterpillar, March Hare, and Dormouse with hosts Tweedle Dee and Tweedle Dum. The House of Cards and Drink Me Bar carried on the theme in the evenings for the Mad T Party. In the Magic Kingdom the most visible representation of Alice in Wonderland is in the Mad Tea Party in Fantasyland. Alice and friends can be seen in the evening Main Street Electrical Parade. The Cheshire Cafe is a quick service location where guests can find snacks right near the Mad Tea Party Gardens. In the evening before Wishes, Alice is shown along with the Cheshire Cat in the Celebrate the Magic castle projection show. Other locations across Disney World property where Alice can be found are at the Grand Floridian. She participates along with the Mad Hatter each morning in the Supercalifragilistic Breakfast at 1900 Park Fare. The Beach Pool Water Play area was created a couple of years ago and features an Alice in Wonderland theme. Over at the Polynesian at Lilo’s Playhouse, Club Disney features an Alice play area with video games for the kids. In addition to meeting guests in the Magic Kingdom, Alice is usually found doing a meet and greet near the tea gardens in the UK in Epcot. Like all of the other Disneyland style parks around the world, Paris continues the tradition of a tea cup ride with their Mad Hatter’s Tea Cups. There’s also an Alice in Wonderland themed maze called Alice’s Curious Labyrinth in Fantasyland. In the amazing nighttime castle projection/water screen/laser/fireworks presentation called Disney Dreams, you can see clips of Alice projected onto Sleeping Beauty’s Castle. There is an incredible Alice in Wonderland float in the daytime Disney Magic on Parade. At Walt’s – an American Restaurant, the Fantasyland area has artwork and theming from Alice as well as several other stories. Artwork from Alice in Wonderland and many other Disney animated films are on display at the Art of Animation attraction on Main Street USA. Of course you can also find the Mad Hatter Tea Cups in Fantasyland. The spectacular nighttime show called Disney in the Stars Fireworks is a sight to be seen and like some of the other projection shows, this one features animation from Alice. There is probably the most variety in the Alice in Wonderland themed offerings in Tokyo. There is the traditional Alice’s Tea Party in Fantasyland. Then Alice can be seen in both parades in the park, during the day in the Happiness is Here Parade, and at night in the Tokyo Disneyland Electrical Parade Dreamlights riding on top of the Cheshire Cat. The coolest thing in the park (it appears to me who hasn’t been there, but has friends who have been) is the Queen of Hearts Banquet Hall. This entire restaurant is themed from top to bottom around Alice in Wonderland and it looks epic! In addition to the parks, the Tokyo Disneyland Hotel gets in on the fun with Alice in Wonderland themed rooms. Also, in April of 2015, Oriental Land Company announced an expansion of Fantasyland scheduled to start tentatively in 2017 which will include a new Alice in Wonderland section. 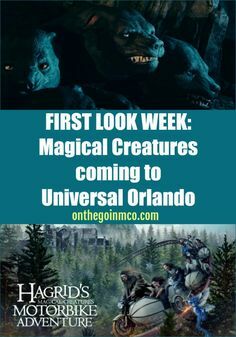 I know this park isn’t opening until June of this year, but we already know they are going to have some influences from Alice in Wonderland when they do open. The most direct connection is the Alice in Wonderland Maze, but this will be more themed towards the 2010 Tim Burton movie than the 1951 animated classic. Shanghai is going to be the first of the Disneyland style parks around the world that does not have a tea cups ride. Instead, they will have a very similar, but Winnie the Pooh themed Hunny Pot Spin. Outside of Shanghai, all of the Disneyland style theme parks (and Epcot) offer character meet and greets with at least Alice, and sometimes other characters like the Mad Hatter, White Rabbit, the Queen of Hearts, Tweedle Dee and Tweedle Dum. I could not find any evidence that there will be a meet and greet with Alice in Shanghai, but where the park hasn’t opened yet, this may change. When I first started researching for this post, I thought I’d find one or two things outside the Magic Kingdom and Disneyland, but found myself almost overwhelmed at all of the incarnations in which you can find Alice in Wonderland all over the world. 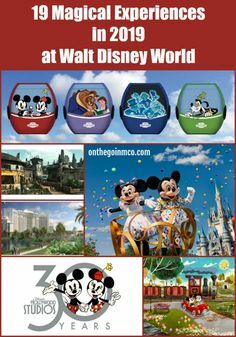 I hope to someday experience all of these, but in the meantime I will have to settle for looking forward to my Disneyland trip in May and hope that I get to go on my favorite ride multiple times. This coming Sunday, February 21st, ABC will air the Wonderful World of Disney: Disneyland 60 tv special celebrating 60 magical years of Disney’s first theme park. The show will highlight talent from music, stage, screens big and small, and will be sure to entertain us all. With segments taped in front of audiences in Disneyland Resort over the last few weeks, the two hour special hosted by Dancing With The Star’s Derek Hough airs starting at 8pm Eastern. During the show, Disneyland 60 will feature elements of the Disneyland Park’s year plus long celebration commemorating the opening of the park in 1955. I can only hope they will show the great new additions of Paint the Night and Disneyland Forever fireworks. These are two of the reasons I’ll be heading back to California in a few months to catch the parade and fireworks before the celebration officially ends on September 5th, 2016. In addition to the great musical and dancing numbers I’m sure Disneyland 60 has in store, one of the most anticipated segments will likely be the details of Star Wars Land being reveled by Harrison Ford. 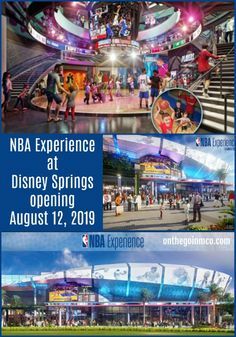 This will be the official public announcement of the details we will be seeing in Disneyland (and possibly Disney’s Hollywood Studios here in Florida?) over the next several years. With performances of all kinds to keep us singing and dancing along, The Wonderful World of Disney: Disneyland 60 is something I don’t plan to miss. I grew up watching Disney specials on Sunday evenings hosted by Michael Eisner under the same title and would love to see the Wonderful World of Disney make a resurgence in some incarnation with programs like this and family friendly movies. Will you be joining in on Sunday to watch the celebration of Disneyland 60? Recently I watched a new to me movie, which reminded me of one of my favorite movies as a kid, Disney’s Swiss Family Robinson. As I was raised to do, I read the book first and loved it, and then was introduced to this live action classic from 1960. Loosely based on the 1812 novel by Johann David Weiss, Disney acquired the rights to the Swiss Family Robinson in the 1940s after seeing an RKO produced version of the story. The Swiss Family Robinson film is an adventure story laced with quite a bit of comedy, as well as a bit of romance, and lots of action. What I remember most from watching this movie when I was young is how awesome the treehouse was that the family built on the deserted island. This of course has been replicated in multiple Disney Parks around the world, including Disneyland from 1962 – 1999, the Magic Kingdom from opening day on October 1, 1971 and is still currently open. Disneyland Paris also opened with their version called La Cabane des Robinson, which is still open, and Tokyo Disneyland opened their Swiss Family Treehouse in 1993. Aside from the awesome treehouse, Swiss Family Robinson always conjures up memories of the animal races the family had on the island, especially the ostrich. Right along with that memory is that of the climactic battle with the pirates at the fort. Those homemade coconut bombs looked so cool when I was a child (disclaimer: we do not condone the making of coconut or any other kinds of bombs. Don’t try any of this at home kids). This film was extremely successful in its day, making back ten times over its original $4 million budget. In today’s dollars adjusted for inflation that $40 million take would be closer to $400 million, which makes it one of the most successful live action family films to this day. The Swiss Family Robinson is the first Disney live action movie to be filmed in the widescreen Panavision as opposed to CinemaScope. The movie stars John Mills (Disney Legend and father of also Disney Legend Hayley Mills), Dorothy McGuire (who also starred in Summer Magic and Old Yeller), James MacArthur (played in other Disney movies The Light in the Forest, Kidnapped, Third Man on the Mountain, and in several episodes of the Wonderful World of Color before his most famous role of Danno in Hawaii Five-0), Janet Munro (who starred with Sean Connery in Darby O’Gill and the Little People, as well as Third Man on the Mountain, and a few episodes of the Wonderful World of Color), along with Disney mainstays and also Disney Legends Tommy Kirk and Kevin Corcoran. I picked up the Swiss Family Robinson movie on dvd not too long ago when it was being offered on the Disney Movie Rewards website. It is still available on Amazon as well as a few other places for less than $10, or for rent through Amazon for $3. I haven’t watched it in years and intend to revisit it this week. If you haven’t seen it, or if it has been a while, I highly recommend watching this Disney classic and visiting the Swiss Family Treehouse the next time you’re in one of the three remaining parks you can. The Jungle Navigation Co. Ltd. Skipper Canteen is the newest restaurant in the Magic Kingdom at Walt Disney World. This new table service eatery is themed around Adventureland, and more specifically, the Jungle Cruise attraction. For the theming of this location, the Imagineers went above and beyond in some of the details that may be easily missed by guests. The books in the library of the Skipper Canteen are chock full of inside jokes, nods to Imagineers, and attraction mentions. Some of the books in the library pay homage to the Society of Explorers and Adventurers, which was based on the now defunct Adventurers Club in Pleasure Island at Disney World. The SEA was first incorporated into a park at Tokyo DisneySea, and one of the first times in their Tower of Terror attraction. Next, and most prominently, Hong King Disneyland introduced their Mystic Manor, which after SEA member Henry Mystic. More recently, stateside in the Magic Kingdom, Imagineers introduced member Barnabas T. Bullion as the owner of the Big Thunder Mining Company. He also is pictured in the queue of Big Thunder Mountain Railroad, and bears a striking resemblance to former Imagineer Tony Baxter. Albert the Monkey, who is the pet of Henry Mystic even has a book on the shelf along with books written by Mystic, and M.A. Pleasure (founder of Pleasure Island). Jungle Cruise mainstay Trader Sam is referenced numerous times in various books as the author T. Sam. Titles of his include: Friends for Dinner, Top Hats and Umbrellas, The Missing Mask, and more. Other books from the Jungle Cruise are authored by Dr. Albert Falls. His offerings vary from A Small Village With A Large Heart to Rockefeller, Hippo, Pet, Family. Other attractions in books that get mentions are the Animal Kingdom’s Kilimanjaro Safaris with The Harambe Chronicles by author Wilson. The Eyes of Mara by Jones might be referring to a certain archaeologist we all know and love with an attraction at Disneyland called Indiana Jones Adventure focusing on the Temple of the Forbidden Eye (of Mara). In addition to the attractions, several Imagineers past and present get nods in the books of the library. J. Lasseter has a book called Great Characters of World Literature. Sklar has written a book called Meeting Royalty. Prof. Boag has penned Songs of the Tiki Bird. I’m sure John Lasseter, Marty Sklar, and Wally Boag would be honored. My favorite may be True Life Adventures by W.E.D. (Walter Elias Disney). Then there are just the fun titles paired with authors that fit right in with the Jungle Cruise kind of humor in some of the library books. Native Orange Birds of the Southeastern United States by Dr. Sid Truss (citrus, get it?). Other titles without visible authors are Crooning Flowers, Bathing Elephants, The Congo Queen, In the Jaws of a Butterfly, and Two Bees or Not Two Bees (the Hamlet lover in me adores that one). Rock or Stonez by Col. Pebble, Is This Deadly? by Mort, Al, The Overwhelming Dodo Population by Dr. Francis X. Tinct, Spotted Tigers by G. Rowl, R.E. Venge wrote the series called Getting Even, Shades of Khaki by B. Land, Fleas Navidad and other Winter Insects by Hart, 101 Ways to Split a Banana by Peale, Swimming in the Amazon by Doug E. Paddle, and the Ten Minute Voyage by S.H. Tick. Also included for good measure is Rudyard Kipling’s the Jungle Book. I’m sure there are many more fantastic jokes hidden in the books of the library of the Skipper Canteen and I cannot wait to go back and explore more. I hope you enjoyed this peek at some of the fun titles and let me know if I’ve missed any of your favorites you’ve discovered. High School Musical is one of the most beloved and highest rated Disney Channel Original Movies (DCOMs) and the movie celebrated its 10th Anniversary yesterday. In honor of this momentous occasion, I will share ten things I love about the High School Musical series, or at least the first three movies. Disney Channel replayed the movie last night with clips and interviews from the core six original cast members, including Zac Efron via recording since he was promoting his new movie and couldn’t be there in person. Vanessa Hudgens, Ashley Tisdale, Monique Coleman, Corbin Bleu, and Lucas Grabeel got together to reminisce about their days at East High. Tonight, Disney Channel will also replay High School Musical 2 at 8pm eastern, and Freeform will play both movies this weekend. Double check your local listings for correct times and channels. Fun fact, my mom was actually the one who first got me to watch High School Musical. I, for whatever reason, probably work, originally missed this DCOM on its first airing, but thanks to its amazing record setting popularity, it wasn’t long before I had the chance to fall in love with Troy Bolton and the rest of the Wildcats. The songs were catchy, the dancing was fun, and it was like Grease lite for the slightly younger and more innocent teen and tween crowd. Since the first tv movie in 2006, there was another DCOM in HSM2 in 2007, the theatrical release of High School Musical 3: Senior Year in 2008, and the direct to dvd Sharpay’s Fabulous Adventure in 2011. I have them all, yes, even Sharpay. I’ve seen the concert movie and also watched the “reality” tv competition, High School Musical: Get In The Picture, in 2008 where someone won the right to perform the end credit song in HSM 3. I miss the several incarnations of High School Musical live entertainment at Disney’s Hollywood Studios. I can’t tell you how many times I caught the High School Musical Pep Rally, High School Musical 2: School’s Out, High School Musical 3: Right Here Right Now!, and of course Disney Channel Rocks. The music to all three movies are still on my ipod/iphone. Scenes in the rooftop garden are so gorgeous and I’m glad they revisit it from the first film in the third. I want to dance with Zac Efron on that roof. The original High School Musical broke sales records for the fastest selling tv movie on dvd selling 1.2 million copies in just six days. HSM2 broke records too when it aired to over 17.2 million viewers essentially live, eclipsing the original by over 10 million viewers. Ryan’s hats throughout the series are incredible. Here is a sampling of just some of them. Kenny Ortega, known for his choreography on Dirty Dancing, directed High School Musical as well as other Disney movies like Newsies, Hocus Pocus, HSM 2, HSM 3, Cheetah Girls 2, and last year’s Descendants. I love the fact that practically the entire cast remained in tact for all three movies from the core six to classmates, parents, teachers, etc. It has also been reported that the main six cast members are all still close and see each other regularly. These are just a few things I love about the series and hope you found some things you enjoy about High School Musical also. I had a blast live tweeting last night and wish I could do the same tonight for HSM 2. Wildcats! Share some of your favorites if I missed any! Some of you may have heard of this cute little astromech droid named BB-8 from this little indie flick called Star Wars Episode VII: The Force Awakens. I have fallen in love with BB-8 and thought I’d share some of my favorite merchandise gems I’ve found featuring this adorable new droid. We’ve all seen the Sphero BB-8, which looks amazing by the way. There are tons of the usual merchandise offerings like pins, shirts, hats, backpacks, phone cases, MagicBands, etc. for sale in the Disney Parks and all over the internet. I’m going to share some of the more unique items I’ve come across online in particular, but not in any specific order. For the golfing enthusiast, these BB-8 golf club head covers would make any golf bag the talk of the course. 2. I’ve been looking for some new over the ear headphones, and these BB-8 ones may be taking the lead. 3. One of the more intriguing items I discovered on Amazon was this set of The Force Awakens nesting dolls with BB-8. 4. This BB-8 mini fridge is perfect for storing cold drinks under or on your desk at work, and it is stylish too! 5. This Rey LEGO mini figure comes with a cute little BB-8 and her Jakku-wear. You can find them both in this Millennium Falcon LEGO Set. 6. I have a tendency to lose flash drives, but I have a feeling I’d be able to keep my eye on this BB-8 storage device. 8. This car decal will be mine! I mean it even has my initials on it. Maybe this is part of why I love BB-8 so much. Currently this isn’t available from purchase individually on TeeFury, but only as a part of the Galactic Bundle. I guess I may just have to get more Star Wars stuff. Oh well. And as a bonus, I have my own favorite piece of BB-8 merchandise…The BB-8 Interactive Hoodie from the Disney Store that uses the Disney Store Become App.